[0:18] <double-you> is the signal strength of the tiny wifi adapter the same as the normal size ones? [0:50] <rikkib> Ahhh I see why my nfs system is not able to resolve... kernel command line overrides all else such as /network/interfaces. I only entered the ip address on the command line. It needs lots more info such as gw. [0:53] <john_f> the hdmi shield should be grounded, maybe your outlets are not grounded. [0:54] <johnc_> is there a configuration option somewhere to stop the screen going blank when the pi is idle? [0:55] <dr_willis> yea some similer setting for the console. [1:03] <Primer> How heavy of a gage of wire do you think would be needed? [1:05] <ParkerR_> "dwc_otg.lpm_enable=0" what does that do? [1:06] <Primer> Can NFS root be done without an SD? [1:07] <rikkib> maybe it will work now. [1:07] <Primer> rikkib: probably because "normal" nfs root requires no block device to be present in the machine? [1:08] <john_f> Primer: speaker cable or lamp cord is fine, just keep it away from the other pins, maybe your power strip has a screw you can use. [1:09] <john_f> I was able to upgrade the outlets to 3 prong, as the box they were in was grounded. [1:10] <rikkib> I am familiar with all that... I have been doing this, computing, since it existed. [1:12] <rikkib> I run a high power radio station in this workshop. The earth is three feet away from the radio. [1:33] <s5fs> deathpanda: does hcitool work for you? [1:44] <s5fs> deathpanda: hcitool scan will ask the dongle to look around and see if anyone is worth pairing with, nice and easy way to check if things are functioning. [1:44] <s5fs> deathpanda: beyond that, in order to pair, you can use something like bluetooth-agent. i haven't tried blueman yet, i'm still doing proof-of-concept work and just scripting this mess together. [1:51] <s5fs> deathpanda: sorry friend, that's as far as my troubleshooting has taken me. [1:53] <s5fs> dr_willis: yeah, i had to drop ergo keyboards bc i use a laptop so much. [1:54] <rikkib> I have had the same keyboard for many years... an old at style with ps/2 adaptor. [1:55] <rikkib> This keyboard I can pull apart and clean. [1:55] <dr_willis> and some with hardware based macro keys. [1:55] <s5fs> well, i am picky and have preferences, but usually i don't get my way. [2:02] <dr_willis> I cant find my wireless keyboards since we moved. [2:02] <dr_willis> I know they are all in a box.. somewhere. [2:03] <dr_willis> the logitech universial dongles are neat in how one dongle can work for a keyboard and mouse. or several keybaords.mouse.. but i always have to pair them up under windows. or reset them in windows. [2:04] <dr_willis> I found the dongles.. but not the keybords. [2:05] <dr_willis> logitech calles it somthing . basically one little dongle can do like 5 devices. but if i pair dongle #1 with keyboard #1. then want to move keyboard 1 to work with dongle 2. i have to use windows to get them paired. [2:05] <dr_willis> so i had to paint colors on each dongle/keyboard to keep them organized. [2:05] <s5fs> so whats up with all the keyboards, is ssh not usable or are you all running a gui of some sort? [2:06] <dr_willis> plus my boxee box. and even my TV can take a usb keyboard. [2:08] <dr_willis> and they never fixed issues with the boxeebox from years back..
[2:09] <dr_willis> i got an XIOS play thing for $100 that does everything basically the boxeebox did. without the silly addons boxee wanted to push on me. [2:12] <dr_willis> #1 thing i used boxeebox for was watching CrunchyRoll. for some reason it had no ads on the boxeebox. ;) unlike the tv/tablet/pc version. Now the the Crunchyroll channel dosent work on boxeebox at all. with no info about it at the sites. so i guess its dead. [2:14] <dr_willis> That XIOS box i got is neat.. but a little flakey. I mainly want it for Crunchyroll. so i have to use the andrid os on it. instead of the linux xbmc os on it. [2:14] <dr_willis> It can do android, xbmc, crunchyroll, and netflix all for $100. but its still getting the bugs worked out of it. [2:22] <rikkib> For some reason with nfs root a default route for the gateway does not get added into the routing tables. This will require a workaround yet to be determined... adding it manually gets the net going. [2:29] <_nimbu_> Has anyone got the oracle java jdk working on the plain raspberry wheezy version? [2:37] <_nimbu_> netbeans on the pi!? [2:49] <abactor> hey, there. i just did rpi-update yesterday and i see that i accidentally upgraded to the 3.6.11 kernel. can anyone tell me how to downgrade back to 3.2.27+? [2:52] <ParkerR_> abactor: What's wrong with 3.6.*? [2:52] <rikkib> abactor, Not done to my knowledge... Reload the image and start again maybe your only solution. [2:52] <pfdotn> abactor: You should have a /boot.bak or /boot.old directory (I'm going from memory) -- you can copy the contents over /boot (make a backup first) and you can restore. [2:53] <pfdotn> abactor: Just reboot the pi after that, and you're done. [2:54] <pfdotn> rikkib: If that was the case, you could never load a base image on the rpi after an update. [2:55] <abactor> is there a way to do rpi-update <hash>? [2:57] <abactor> Hexxeh: how do i find the githash of a 3.2.27+ build? [2:59] <abactor> thanks, i'll take a look! [3:08] <rikkib> Module version and kernel version must agree unless you compile with that sort of check... This does not guarantee the module will work. [3:08] <Hexxeh> is that a kernel module you're bringing yourself? [3:11] <abactor> so even with the kernel headers/sources and Module.symvers, i still need to compile the whole kernel myself? [3:12] <abactor> oh. so there's no good way to compile a kernel module myself? [3:13] <Hexxeh> without compiling the rest of the kernel to, to my knowlege? no. [3:14] <abactor> ok, so this has nothing to do with whatever kernel version i'm running. [3:23] <abactor> piney: is spi significantly better now? that's good news. [3:29] <abactor> thanks! i'll have a look. [3:31] <sc0tch> Model B indentification question: My board has the mounting holes, noted as a rev 2 board, but /proc/cpuinfo has value: 0002 for Revision, that is noted aon a couple websites to be a Revision 1 board. I'm confused by that. [3:32] <rikkib> It does not suite the stm32v for full speed crc transfers as required for higher end longer distance applications. [3:51] <shiftplusone> sc0tch, pretty safe to say you have a rev 2. My rev one also says 0002, but I don't know that it means much. You have a 512mb model, yes? [3:52] <sc0tch> shiftplusone: yes 512meg model. [3:53] <shiftplusone> I think 'revision' is used for something else by the cpu... for example it tells you when you warranty is void and I am sure the '2' means something else as well. [3:54] <sc0tch> shiftplusone: sure, could be, I was only referring to a couple Pi sites that stated you could tell which revision board you had by that value. [4:06] <mikey_w> type "free" in a linux terminal. [4:06] <mikey_w> Shows memory information. [4:19] <mdszy> ergh, that Raspberry pi idea fell flat. [4:29] <DooMMasteR> how do I get omxplayer to change the resolution to the native video res? [4:45] <cincinnatus_> Are there any good scriptable window managers out there? [4:46] <cincinnatus_> I'd like to be able to programmatically say "Hey, move this window over here!" [4:54] <dr_willis> like sawfish, and awsome, and.. cant thinlk of the others. [6:05] <leftyfb> how much amperage draw can the pi handle on each USB port? [6:07] <shiftplusone> leftyfb, it's not hooked up in a way that would allow a simple number as an answer to the question. [6:08] <shiftplusone> when did you get it? [6:08] <shiftplusone> Do you have the polyfuses near the usb? [6:08] <shiftplusone> between theusb ports and the audio jack, what do you see? [6:10] <shiftplusone> On a rev2 750 minus whatever the pi is using) is shared between the two ports. On a rev 1, much less than that, hang on. [6:11] <shiftplusone> On a rev1 I think it's 140mA on each port. [6:14] <shiftplusone> It sounds like you got your board in that period of time where rev2 didn't have mounting holes and were still 256m, but I am not sure. [6:15] <johnc_> shiftplusone: do you ever sleep? [6:15] <shiftplusone> johnc_, no, I think it's wasteful. [6:15] <johnc_> shiftplusone: you seem pretty knowledgeable on pi, are you connected to the foundation? [6:16] <shiftplusone> johnc_, not at all, just a mod on the forum and an op in the channel. I don't get much contact with anyone from the foundation though. [6:17] <shiftplusone> johnc_, nonsense. But yes, I have a lot of spare time on my hands right now. [6:17] <gh403> So on the Arch image, the root filesystem isn't in /etc/fstab. Where can I change the mount options for it? [6:18] <leftyfb> shiftplusone: do you think this would be able to power an arduino which is powering a 5V relay module that could possibly pull 180mA? [6:19] <shiftplusone> leftyfb, what's the output of 'cat /proc/cpuinfo' ? [6:20] <shiftplusone> leftyfb, what's the total current you expect to draw from usb (max) ? [6:22] <shiftplusone> leftyfb, any reason you don't want to use a hub? [6:25] <shiftplusone> I don't think a rev1 with links instead of polyfuses (which is what I think you have) would be able to deal with the spikes and might reboot your pi sometimes. You might be able to use capacitors to prevent that somewhat, but if you're going to do that, you may as well short out the 750mA polyfuse on the input. [6:29] <shiftplusone> That's a Rev1 with no USB polyfuses and with d14 removed then. [6:29] <Milos> how is this $600? [6:30] <shiftplusone> leftyfb, can you look closely at the green led when that happens and see if it is dimly lit at all? [6:32] <shiftplusone> "Model B Revision 1.0 + ECN0001 (no fuses, D14 removed)"
[6:33] <leftyfb> would I be better off using that one for this? [6:34] <shiftplusone> the downside of shorting the polyfuses on usb is that instead of USB devices failing is that now the whole pi restarts when usb devices try to draw too much. So it depends. [6:35] <nutcase> think its possible to setup the pi as a network gateway? [6:35] <shiftplusone> If I were you I would make sure to use a hub. [6:35] <leftyfb> got any recommendations? [6:36] <shiftplusone> leftyfb, people seem to be ok with belkin ones. I have a belkin and a logitech one and both work. Don't get a cheap one with silly amount of ports (I have a 13 port generic one). Those are a bad idea. [6:43] <shiftplusone> leftyfb, btw, if you do see the dim green led next time, that means it's failing to read the sd card for some reason. Might be a power supply issue or bad contact with the sd card holder in your case. If it's just the red led and nothing else, then I have no idea, that would be indicate faulty hw to me, but I am not sure. [6:51] <shiftplusone> It does seem as cheap as they come. [6:54] <shiftplusone> btw, are you the same guy as djwillis or not? [6:55] <shiftplusone> Ah, got it. [6:56] <shiftplusone> Just looking at openembedded and there is a guy by that name that has a raspberry pi layer for it. Thought I'd steal some knowledge from you, but it turns out you're not the you I thought you might have been. [7:07] <aDro> dr_willis: Because you choose not too, or because someone is stopping you? [7:14] <SuperLag> rikkib: be kind to your rPi, how? [7:43] <SuperLag> dr_willis: I have GPM installed... and I started it... but no workey. [7:46] <dr_willis> You got a mouse plugged in? [7:49] <Kriss3d> Hi everyone. When i (from a Windows computer) type \\raspbmc\ i end up at my raspberry.. I assume thats the Samba stuff right ? [7:50] <knoppies> SuperLag, cant you copy paste from tmux? [7:51] <Kriss3d> is that a common problem or could it be my router being an old airport ? [7:53] <Kriss3d> dr_willis: was that to me ? [7:53] <knoppies> Kriss3d, I dont know, but I had SMB problems from my windows 7 computer to my laptop, and they were both connected via a cable. [7:54] <knoppies> try rsync as scp has a lot of encryption overhead which can slow things down on the Pi. [7:55] <knoppies> dr_willis, I do too, but its SO SLOW on something like the Pi. [7:56] <Kriss3d> how would i SSH files to my rasp ? [7:57] <knoppies> Kriss3d, do you want to push files to the pi, or pull them from your other machine? [7:58] <knoppies> then to exit the copy mode you hit q. [7:58] <dr_willis> what OS is on the otehr machine? [7:58] <knoppies> or is that screen? [7:58] <knoppies> kripton, dr_willis asked you a question. [7:58] <knoppies> oops, Kriss3d, dr_willis asked you a question. [7:59] <dr_willis> unison is a neat little app for windows/linux to sync/copy files also. but im not sure if it can resume. [7:59] <knoppies> dr_willis, I will have a look. [7:59] <dr_willis> rsync can resume i belive..
[8:00] <knoppies> Kriss3d, if you want to use SSH, then download winscp onto your windows7 computer. [8:01] <knoppies> Kriss3d, I've never tried file transfers with putty, but I assume the functionality is in there. [8:10] <knoppies> dr_willis, I wish there was. [8:11] <knoppies> piney, Ive considered setting up an FTP server just for that. 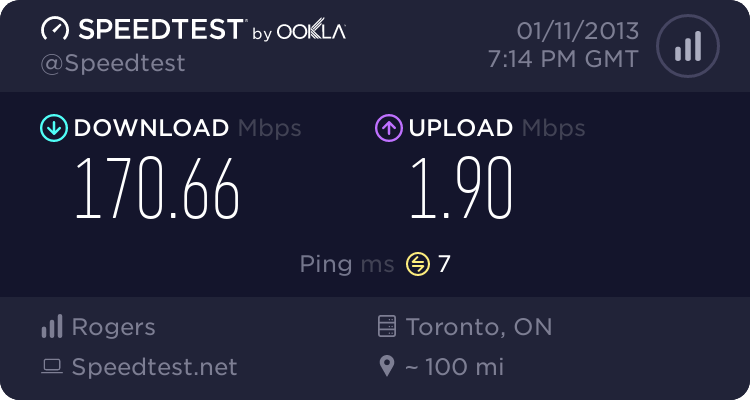 I want something to transfer files across my LAN. I want to be able to push and pull from my linux machine without touching the windows one. [8:11] <knoppies> I really wanted to give NFS a try, but as I said before, it didnt work on windows. [8:12] <Kriss3d> hmm i dont suppose ftp would be reliable ? [8:13] <knoppies> piney, but winscp is a client not a server. and I feel that all that encryption is a waste of clock cycles. [8:13] <knoppies> Kriss3d, ftp uses TCP so its reliable. [8:14] <knoppies> Kriss3d, I dont know what samba uses, but I wouldnt be surprised if it was tcp. [8:14] <knoppies> Amadiro, really? I've seen packet analysis which implies otherwise. [8:14] <knoppies> piney, for the Pi, Im talking computer to laptop over a gigabit ethernet. [8:15] <knoppies> Kriss3d, I didnt know it was, but yes. Try that. [8:15] <Kriss3d> knoppies: in latest builds it is..
[8:15] <knoppies> Amadiro, maybe thats what I saw then. I didn't know that. [8:16] <knoppies> dr_willis, I thought it was just the handshake that the -Y affected. But Im guessing. [8:17] <knoppies> dr_willis, you could just plug those HDDs into your mobo. [8:17] <knoppies> If I wanted to transfer more than 100gigs quickly thats what I would do. [8:19] <knoppies> that must have taken quite a lot of time. [8:21] <dr_willis> would like to get them back to HD. [8:21] <knoppies> I hope your having fun. You know the Seagate external drive can unclip from the bottom and then the SATA ports are exposed. I love that they did that. It makes perfect sense. I never thought a money hungry fat corp would ever do something like that for its customers. [8:22] <dr_willis> i have a few Segates and many WD's and others i pick up when i find them on sale. [8:22] <dr_willis> trying to figure out how to organize my video files is the harder part. 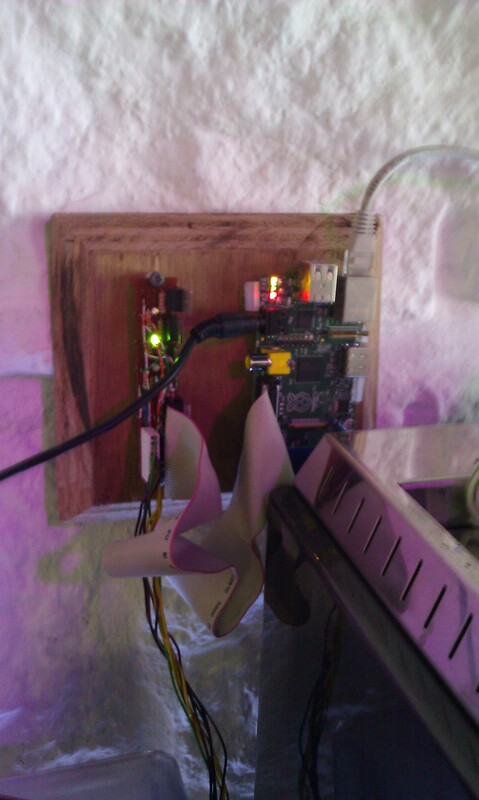 [9:22] <knoppies> prodigy, there is quite a bit of arch support on the Pi. Im not sure what other alternatives there are. [9:23] <dr_willis> midori browser is barely useable spoeed wse i find..
[9:24] <dr_willis> and jwm is abut the lightest wm ive seen. [9:24] <dr_willis> but just a browser will be taking 5x the resources of the window manager. [9:24] <miyo> rossw: did you try dwm on rpi? [9:26] <miyo> rossw: well, can you inform me when you did? I just got this strawberry sweet. Must go shopping for some stuff to make it works. [9:27] <prodigy> anyone here tried fedora 17 ? [9:28] <miyo> rossw: oh, great. 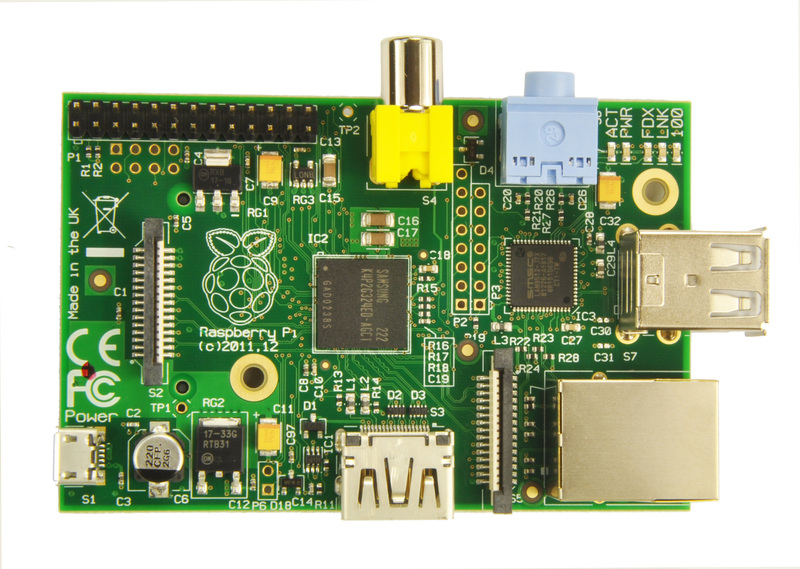 so your old pi won't feel lonely. Poor mine. 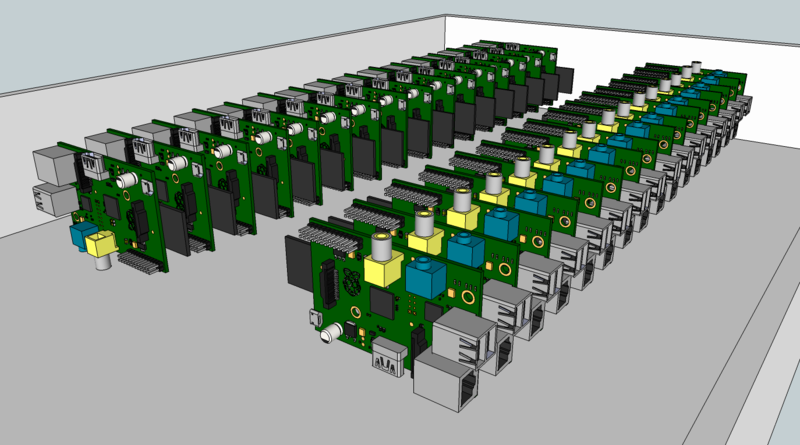 [9:28] <rossw> dr_willis: is your pi overclocked at all? [9:32] <prodigy> so did anyone tried fedora 17 on the pi ? [9:40] <prodigy> then what you people are using and runs well in graphics ? i mean not so sluggish as xbmc.. ? [9:43] <dr_willis> the X desktop does not. [9:43] <dr_willis> at least not yet. from what i have read. [9:45] <prodigy> yes i already downloaded the installer and etc but i don`t know if it runs well or sluggish..
[9:48] <B0101> Hi, does the raspberry pi use interrupts? or do we need to write our own routine for everything? [9:54] <Weems> is xfce light enough? [9:58] <Zta> Oh, I'm looking forwared to Wayland. [10:05] <jelly1> out of ram? [10:08] <jelly1> mem full when building? [10:09] <zilog> i was just trying my pi with my new monitor last night and was seeing random dots around the screen - could this be a cabling or power issue? [10:18] <dr_willis> ive had flakey cavbles give very weird patterns befor. [10:18] <dr_willis> and these looked like good heavy duty cables. [12:09] <Crenn-NAS> Do network activity! [12:10] <double-you> hi, what is the best 100% working 300mbit wi-fi adapter? [12:14] <double-you> Serano: which one? [12:16] <double-you> ok, how fast is reading from an external hard disk on r-pi? [12:23] <Xark> double-you: I believe I was getting around ~20MB/sec. Pretty much par for the poor WD external I was using (you could perhaps do better with another drive). [12:26] <Crenn-NAS> Macer: Right next to the router? [12:30] <double-you> I've read that Edimax EW-7811UN should be good, but only "150" mbit. [12:32] <Crenn-NAS> I just wanted a working WiFi connection to my Raspbian Rover... it works! [12:33] <Crenn-NAS> double-you: Why does only 150mbit matter? [12:34] <double-you> I don't want the router to switch back to g.
[12:35] <double-you> yes, that's why I want to keep n for every device. [12:35] <aDro> what is the default port for SSH and Telnet? [12:37] <aDro> Oh yeah, I should test my RPi and the wifi unit I have. [12:39] <aDro> What's a good SSH Client for 64bit windows 7? [12:40] <Crenn-NAS> Do you really need native 64-bit for a SSH client? [12:40] <double-you> Macer: so I should try to get an atheros? [12:49] <Crenn-NAS> apo: What monitor do you have hooked upto it? [12:50] <aDro> What is your primary os? [12:50] <apo> Crenn-NAS: Doesn't matter, though. The ACT LED doesn't blink. [12:53] <aDro> have you tried u-boot? [12:58] <aDro> I have an 2 GB flash stick to install the downloaded operating systems onto. [13:04] <apo> That's what I meant. [13:12] <aDro> Did you image the OS correctly? [13:15] <Crenn-NAS> apo: What appears on the screen? [13:15] <Crenn-NAS> Sure the SD card is all the way in? [13:15] <Crenn-NAS> What SD card is it? [13:16] <Crenn-NAS> What image are you trying to use? [13:17] <Crenn-NAS> Have you tried the Raspbian image? [13:22] <TomWij> apo: First things first, is your power supply fine? [13:25] * TomWij uses Gentoo as well. [13:25] <TomWij> apo: And the output of "p" in `fdisk /dev/mmcblk0`? [13:26] <aDro> Any good sources? [13:28] <TomWij> apo: Can you pastebin it? [13:30] <TomWij> alpha080: Use the force of physical access, flip the bits that contain your password; what else would you expect as an answer? [13:42] <alpha080> so how to rewrite /etc/shadow now? [14:08] <gordonDrogon> I have a wildcard for *.drogon.net which I use. [14:16] <TomWij> alpha080: How do you think you would rewrite the file? Not if you keep the SD card in your Raspberry Pi. [14:23] <prscarp> So are there no external hard drives that dont go to sleep? [14:25] <nid0> probably not many, why would you want it to never go to sleep? [14:27] <nid0> define "good size"
[14:29] <xzr> not that I've looked into it but one would think the OS has the settings for when the disks sleep etc? [14:32] <prscarp> that would probably work with the pi, right? [14:34] <prscarp> you like it? [14:35] <prscarp> Oh lol, what brand is it? [14:39] <AndrevS> Max HDD capacity 2 TB for USB, 3 TB for eSATA? Is 2 TB a limit for USB mass storage in general? [14:41] <nid0> its probably just a "we tested up to this when we released the product"
[14:41] <AndrevS> I have seen this limit on many USB hard disk enclosures enclosures. Perhaps related to the used controller chip? [14:41] <Amadiro> perhaps. There certainly are USB 2.0 harddrives that have more than 2TiB. [14:41] <Amadiro> http://www.amazon.com/Elements-Desktop-External-Hard-Drive/dp/B004SH5VQ4 for instance. [14:41] <Hodapp> In most cases, aren't they encapsulating the underlying protocol in such a manner that it doesn't much matter? [14:44] <AndrevS> Cool! I am thinking about ordered some USB hard disk soon. I need some more storage. [14:45] <AndrevS> What interface does it have? [14:48] <TomWij> gordonDrogon: Erm... Which browser is that then? Because I get them by default. [14:48] <nid0> TomWij: no browser includes the cacert root certificate by default. [15:03] <ne2k> my first computer with a hard drive was ordered with a 60MB but they were out of stock of those so supplied an 80MB instead! [15:11] <Matt> gordonDrogon: do you reckon you could implement an ST-506/ST-412 interface using the gpio lines on the pi? [15:20] <gordonDrogon> I think the timing requirements are too tight. [15:20] <AndrevS> tight timing requirements.... bare metal coding? [15:21] <gordonDrogon> due to the GPU memory/video refresh. [15:22] <gordonDrogon> I'd probably build a buffer boards (you'll need to for the differential signals anyway) which would take in one 256 byte sector and clock it out to the disk. [15:22] <gordonDrogon> an atduino could probably do it. talk bac kto the Pi via SPI or sometthing. [15:23] <gordonDrogon> you need to use one of the head selects to reduce write current too - mayboe only on older drives though. [15:26] <gordonDrogon> People have/are doing this for floppys on BBC Micro, etc. [15:27] <gordonDrogon> CF bases units to plug-in. [15:31] <gordonDrogon> so much to do. so little time. [15:31] <gordonDrogon> I had 2 lined up too. [15:33] <Matt> have you hacked your coffee machine? [15:36] <AndrevS> No... my Pi is busy doing other things.... also I still need some components. [15:38] * AndrevS wonders when his neighbour comes home. Since I wasn't at home when the delivery came today, they gave it to my neighbour. 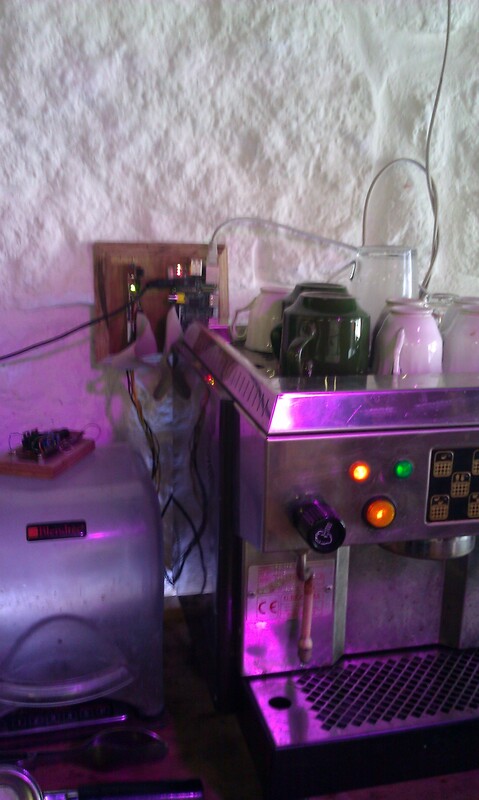 [15:50] <gordonDrogon> my coffee machine works fine without a Pi, but I know a place in Cornwall that has a Pi running their coffee machine, till, etc. [15:58] <gordonDrogon> they're a bit out of focus. crap camera phone. [16:11] <osfameron> are there gerbers/hardware schematics for the Raspi boards themselves? e.g.the Model B? [16:13] <gordonDrogon> osfameron, there are schematics. [16:17] <osfameron> gordonDrogon: where can I find them? [16:25] <Hodapp> pro tip: bring a mouse or a keyboard if you intend to use your Pi interactively someplace with no mouse or keyboard. [16:28] <spline> do you need a keyboard to boot the first time if you have it hooked up via ethernet and rasbian? [16:35] <IT_Sean> spline, a keyboard issa keyboard issa keyboard. Other than branding, and different symbols on some of the modifier keys, as far as the computer is concerned, there is no such thing as a "mac keyboard" or a "dell keyboard" etc... they are all just keyboards. [16:35] <IT_Sean> The only exception with the raspi is if it's a really fancy gaming keyboard that requires more powah than the Pi cna deliver. [16:44] <IT_Sean> that's an issue of keyboard mapping, and has nothing to really do with who manufactured the keyboard. [16:45] <IT_Sean> If needed, you can remap the modifier keys in most *nix based OSes fairly easily. [16:46] <streetmapp> spline: pretty sure raspbian is already enabled with ssh. i set mine up without a monitor/keyboard/mouse. [17:15] <DeliriumTremens> steve_rox: why are you watching them? [17:18] <Hodapp> but why does he build a separate blaster? [17:18] <megaproxy> here are renders. [17:26] <steve_rox> but who will be the first fool to make a pi in a oil tank? [17:26] <megaproxy> im down to do that. [17:28] <Torikun> we gonna make the pi cluster blog? [17:31] <pksato> some digicam (canon) can be controled by usb (PtP). [17:33] <Gadget-Mac> Anyone out there with a 512MB Pi able to answer a hardware layout question ? [17:34] <pksato> nothing that some mosfet and gpio pins cannot resolve. [17:35] <TomWij> Gadget-Mac: The amount of people make it very likely that there is someone around. [17:36] <Gadget-Mac> Ok, anyone able to tell me if the reset pins line up with the pins on the GPIO header and if so which ones ? [17:37] <pksato> no. reset is on other place. [17:37] <pksato> and, dont have pins solded. [17:38] <Gadget-Mac> if you draw a line from the GPIO header to the reset pins does it line up ? [17:39] <pksato> you want to reset rpi from GPIO? [17:41] <Gadget-Mac> Any idea how much the offeset is ? [17:42] <pksato> reset pins locate near hdmi connector. [17:42] <pksato> or, you ark if reset header have a same pitch of gpio? yes, have. [17:59] <mang0> Hey all. I've just finished setting up my raspberry pi, and when trying to SSH in, I'm getting a seg fault; I ran `ssh pi@ip` (with the right IP of course) and then put in the password. Then I got the error "Segmentation fault (core dumped)" and it exited. Any ideas? [18:20] <gordonDrogon> mang0, it's probably an SD card failure. [18:21] <gordonDrogon> or a memory fault, but probably the SD card. [18:24] <pksato> mang0 seg. falt on client side? [18:24] <pksato> some arch bug. [18:27] <spline> booyaa: ah awesome. I assume that's the 12-16 img/iso on the site? [18:32] <sintrix> Squeeze haz no package manager? Should I use aptitude? [18:58] <gordonDrogon> streetmapp, can you ssh to it? [18:58] <gordonDrogon> then http://localhost:8080/ will get to your Pi. [19:13] <user82> the overclocking is inside the gpu firmware? is that right? [19:13] <user82> with config.txt the so called "turbo mode"
[19:17] <sheldor> hey how can i make some program autostart after boot without logging in? [19:20] <booyaa> sheldor: can be daemonized ie turned into a service? [19:22] <booyaa> sheldor: whats the app? [19:23] <sheldor> Matt: how is this possible? [19:23] <spline> sheldor: which one? [19:23] <sheldor> spline: what do you mean? [19:23] <booyaa> doesnt raspmbc already start up? [19:23] <sheldor> spline: there is a movie named "spline"
[19:24] <spline> from simcity 2000 wiki: SimCity 2000 was the first Sim game to feature the semi-nonsensical phrase "Reticulating Splines", which means to make a network of splines. [19:26] <sheldor> if i just write something into /etc/inid.d/script doesnt it rquire a login to run? [19:29] <sheldor> and what about the login? [19:29] <sheldor> i just write "su username xbmc" into the script? [19:36] <sheldor> i just write "su username xbmc" into the script? [19:39] <sheldor> it means "switch user"
[19:40] <sheldor> ParkerR_: what do you mean? [19:41] <user82> gordonDrogon your stuff? [19:42] <sheldor> does init.d run with root privieleges? [19:42] <gordonDrogon> sheldor, it runs as root. [19:43] <sheldor> into which should i write my command? [19:43] <gordonDrogon> user82, what are you trying to interface? [19:44] <user82> i want the files included into my source dir gordonDrogon can i ask you more tommorrow? [19:44] <gordonDrogon> user82, if going bare metal, then you don't have the mmu, etc. to wory about - just poke the hardware directly. [19:44] <sheldor> but apparently it isnt run? [19:44] <user82> gordonDrogon that is what i wanted to have..
[19:44] <sheldor> is there a way to enable init.d stuff? [19:48] <gordonDrogon> user82, just take the bits out of wiringPi.c if you need to. there's no real magic to it all. [19:49] <gordonDrogon> user82, you could probably use wiringPi in bare metal mode too - just don't do the memory mapping! [19:49] <ParkerR_> Anybody have the 1ghz config that was shared in here? [19:49] <gordonDrogon> user82, depends if you want a 'wiring' type interface or port/bit. [19:50] <gordonDrogon> user82, there's no speed tp be gained by either approach - the gpio is limited to about 20MHz anyway. [20:00] <gordonDrogon> ParkerR_, for 1GHz? [20:00] <gordonDrogon> just enable turbo mode and set the upper limit to 1GHz. [20:06] <ParkerR_> axion, Sweet. Thanks. [20:18] <axion> who manufacturered your ram chip? [20:18] <axion> what power supply? [20:26] <ParkerR_> axion, What are you wanting to try? [20:28] <gordonDrogon> ParkerR_, I don't bother with overclocking now. Tried it, it mostly worked, but gave up on the new turbo mode. [20:32] <gordonDrogon> my pi's were pretty solid before I moved to the turbo mode. [20:32] <gordonDrogon> I think the switching causes additional power spikes. [20:33] <axion> no red power? [21:05] <rikkib> Scummy supplier sent me an Apacer sd card when an Ascend card had been ordered. Previous purchases were for Ascend cards. [21:08] <Torikun> "My bad bro"
[21:11] <axion> what are you using to measure? [21:11] <axion> what says 500? [21:12] <axion> what tool are ytou using? [21:14] <ParkerR_> So that is the reason it is staying at 500? [21:15] <ParkerR_> "(Can't contact the database server: User elinux_rw already has more than 'max_user_connections' active connections (db1.osuosl.org))"
[21:17] <rikkib> At least the 8GB Apacer sd card is listed as being OK on elinux. Cross your fingers. [21:18] <rikkib> elinux responds aftera while. [21:20] <axion> why would you want to force it into submission? [21:20] <ParkerR_> "force_turbo	Disables dynamic cpufreq driver and minimum settings below. Enables h264/v3d/isp overclock options. Default 0"
[22:38] <Teligard> Hi all :-) Question: Would a 5V 5A power supply be to strong for a raspberry pi, revision B? [22:38] <IT_Sean> That would work. [22:39] <IT_Sean> the 5A rating just indicates what the supply is CAPABLE. the raspi will only draw 750ma. [22:41] <IT_Sean> you can power the Pi via the GPIO, by suppling the 5v pin with 5v, and connecting the grnd leg of your psu to gnd. [22:41] <IT_Sean> This is NOT recommended. [22:42] <Teligard> I was told that my atrifacting issue with my rp was due to the power supply, but I have little faith as I've tried more power adapters than I care to count. [22:42] <Gordio> repoluse == comnnect "-" to "+" and "+" to "-"
[22:43] <Teligard> I'm not comfortable on the hardware side of the process. [23:11] <thogue> no ive never had a problem before, have you restarted ssh daemon after adding the interface? [23:11] <thogue> what are the results of netstat -an | grep :22 ? [23:13] <thogue> im not familier with darkelec at all, how did you preconfigure the wireless? [23:14] <thogue> Im not familier with that either, they have a UI in xbmc for that ? [23:15] <confuzled> ie, eth0 and wlan0 would be different ips? [23:17] <thogue> most likely it will be outside the dhcp scop of your home network. There isnt a section to have the wireless device configure its address automatically VIA dhcp ? [23:21] <thogue> Yes I know. [23:22] <thogue> rpian, and the other disros do not come with that setup, I believe one of the main reasons for the removal was speed/system usage etc.